The purpose of this largest association of human rights organizations of Ukraine is to protect human rights and to promote development of humane society based on respect for human life and dignity. Currently, the High Specialized Court of Ukraine in cooperation with the Ukrainian Helsinki Human Rights Union continues to study relevant practices of national courts with respect to the relevance of application of judgments of the European Court of Human Rights. 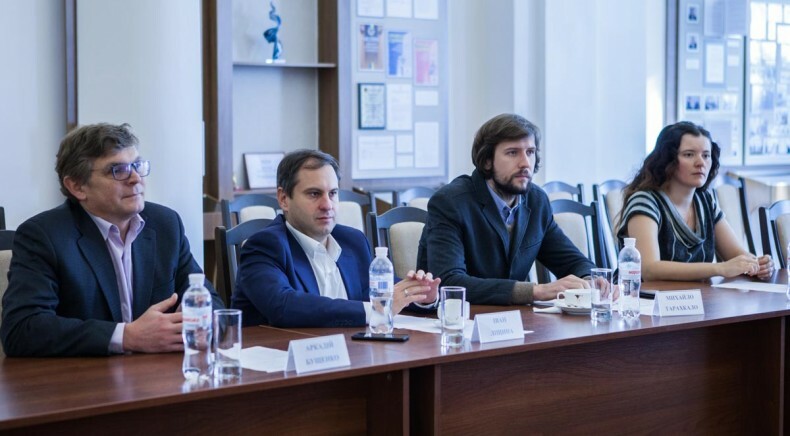 During the meeting, the main evaluation criteria, which would enable to clearly define the quality of usage of ECHR case law by the Ukrainian courts, were agreed. The plan of further work was discussed. Ivan Lishchyna, Government Agent before the European Court of Human Rights at Ministry of Justice of Ukraine, Arkadiy Bushchenko, Executive Director of the Ukrainian Helsinki Human Rights Union, Mykhailo Tarakhkalo, Director of the Strategic Litigation Center of the Ukrainian Helsinki Human Rights Union, Olena Sapozhnikova, Attorney, Lawyer and Analyst at the Strategic Litigation Center of the Ukrainian Helsinki Human Rights Union, Rasim Babanly, Deputy Chief of Staff – Chief of Scientific-and-Expert Department of HSC, Heorhii Khimyak, Deputy Chief of Scientific-and-Expert Department of HSC – Head of the Regulatory Work Department of HSU, Maryna Bulkat, Head of Legal Support Department of the Court, Mykhailo Vainahii, Head of International-and-Legal Cooperation Department, attended the meeting.